Home » Reviews » AXIS IN COLLAPSE – Exit: Sector D.V. 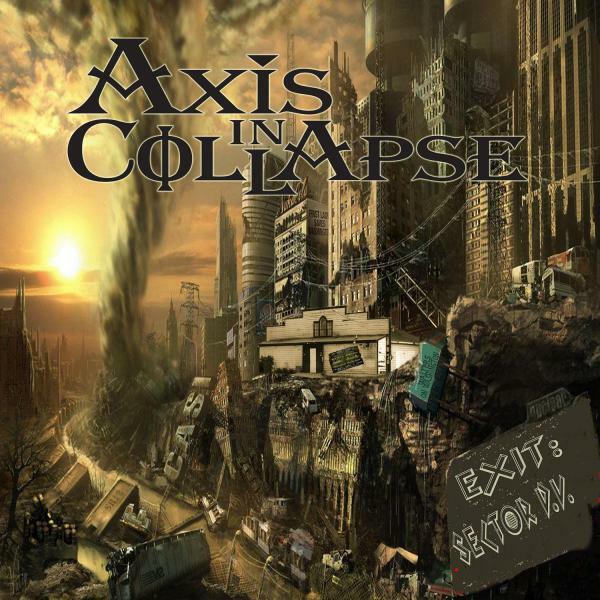 AXIS IN COLLAPSE – Exit: Sector D.V. Axis in Collapse call Houston home. They bring a progressive vibe to the extreme genre. This EP was recorded live at Walter’s on Washington, which lends to a lower quality on the production end of this disc. Categorizing the tinny sound to the live setting, you can see a band that is trying to blend genres, and doing a decent job. Lazaro’s vocals are a blend of Black and Thrash; nothing spectacular but they get the job done. The guitar work is a bit repetitive at times, but the solos thrown in make up for the generic verses. The drums are also typical of the genre. The track, “Dying Angel,” shows massive potential. The solos on this one are reminiscent of a time when solos mattered. I would love to hear these songs in a studio setting, rather than recorded from a live set. With the live recording there are some parts of the song that cannot be heard, or are lost in the atmosphere of the venue. I look forward to watching this band grow.